Enable your data strategy. Privacy by Design. Your organisation is able to collect, store and use customer data conform legal obligations of privacy legislation. This will reduce reputation risk and improve commercial effectiveness. Connecting multiple systems with customer data, proven within the boundaries of privacy legislation, leads to a central view on the customer. Business Intelligence reports support companies in their commercial decision process. The OptInsight privacy-ledger registers data processing activities on customer level. With our technology, your are able to show transparancy to your customers and prove accountability in accordance with privacy legislation. With the central view on the customer, organisation are enabled to share relevant messages with the OptInsight content library or with external software, based on their preferences and with their consent. The data layer ensures that all relevant data is recorded on individual level. Depending on your data strategy data such as personal preferences, marketing back office data can be recorded. The privacy ledger ensures that the data is collected & stored according legal obligations. This building block ensures that your company has one single view on relevant cusomter data & obligatory accountability. 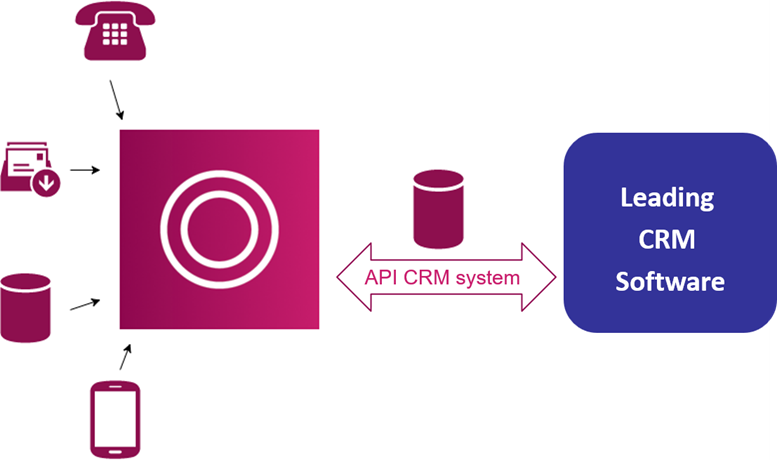 If necessary OptInsight can be connected (API) with existing systems and applications your company uses to process personal data. Interaction with prospects and customers requires business and privacy rules. GDPR requires a lawful ground for processing. Business wise personal preferences are the ground to interact relevantly. OptInsight enables connecting relevantly & GDPR accountable. Do you want to enable your data strategy, privacy by design? Yes, I want to control Consent centrally?